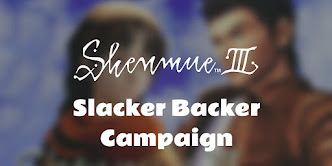 A mid-month Kickstarter Update has appeared out of the blue, bringing with it an exciting announcement regarding character model creation: namely, that the team at Lakshya Digital is now working on character production for Shenmue III. We are also treated to a new image that showcases one of their newly-created characters. As we learned from interviews held with Yu Suzuki during Gamescom 2017, such as this 4Gamer interview, the original plans for the game have been scaled up: the number of non-player characters (NPCs) planned for the town of Choubu is likely to increase from 50~60 to as many as 200. Clearly creating all characters in-house would burden the core development team immensely, so outsourcing to a quality outfit makes a lot of sense. Lakyshya Digital is an Indian studio established in 2004 which specializes in developing game art outsourcing. It is based in India's Gurgaon, with additional development studios in Pune (India) and Seattle. Lakyshya has created art for many major game publishers, including Electronic Arts, Ubisoft, Disney, Rockstar, and Naughty Dog. Notable hits it has worked on include Metal Gear Solid V: The Phantom Pain, WWE 2K16, Bloodborne and Uncharted 2. They also have an office set up in Japan with locally-sourced account managers and staff, to ensure that requirements are properly understood. 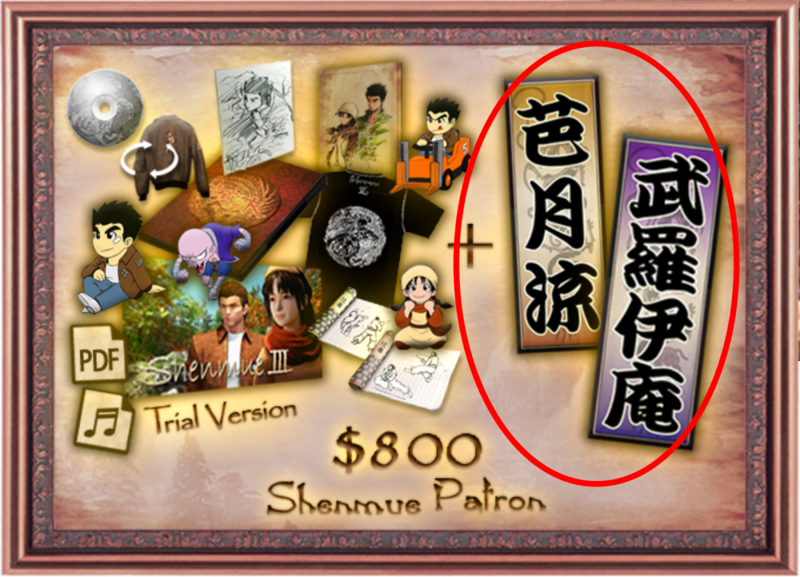 This is reassuring to hear for Shenmue III. Also included in this update, and an example of Lakshya Digital's character work, is the fabulous new image below. It shows a fully-rendered character model of a young girl standing before a backdrop of intricate but colorful temple buildings set on posts over the water. Red wooden bridges serve as a link between the buildings. (Thanks to Spaghetti for sourcing the high-resolution version of this image. Click to enlarge and enjoy!). The update states that we have had a glimpse of this character previously, which would be in Kickstarter Update #69 where the concept sketch of a young girl holding a broom was introduced. Although we do not know her name, she was described as being strong-willed. Her costume evokes those worn by girls assisting priests at shrines in Japan (known as "shrine maidens"), and although I am not so familiar with Chinese temples I would think it reasonable to assume she has a similar role at the temple. 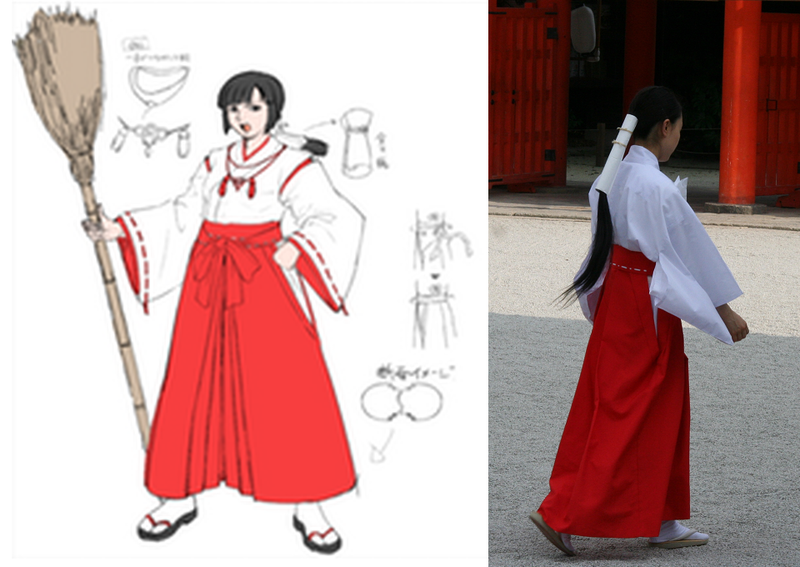 Character sketch from Kickstarter Update #69 (left) and the costume worn by a shrine assistant in Japan (right). This image of the temple buildings in the background hasn't been shown to us before. From the building style and the general setting, it would appear to be located in Choubu, and this is also indicated by our next finding below. There are a couple of points of interest in the image which bear particular mention. First, the characters on the main building, which reveal its purpose. They read from right to left: 千社礼堂 and although this is a Chinese word, it happens to also be written the same way in Japanese (where it is pronounced as "Senjafuda-do"). The meaning is "Hall of Name Tags". 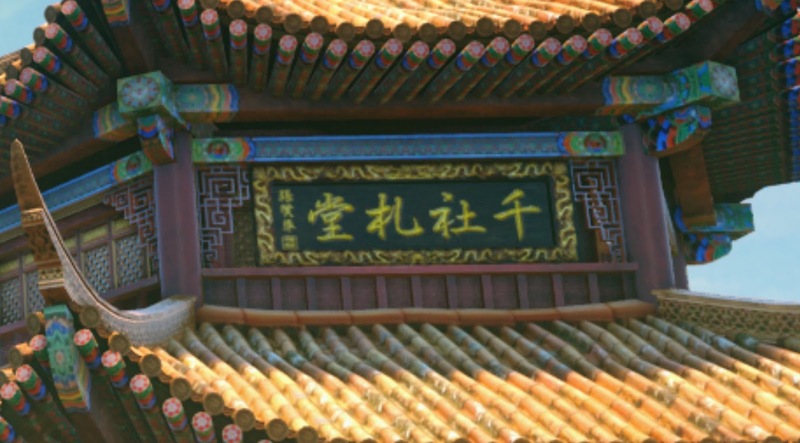 Temple inscription: "Hall of Name Tags"
"Senjafuda" are slips of paper, or wooden tags, on which worshippers write their name and post them on the posts or walls of a shrine or temple gate as a record of their visit. These days they can also be found in souvenir shops at famous temples, although it is not permitted to attach them to the building. 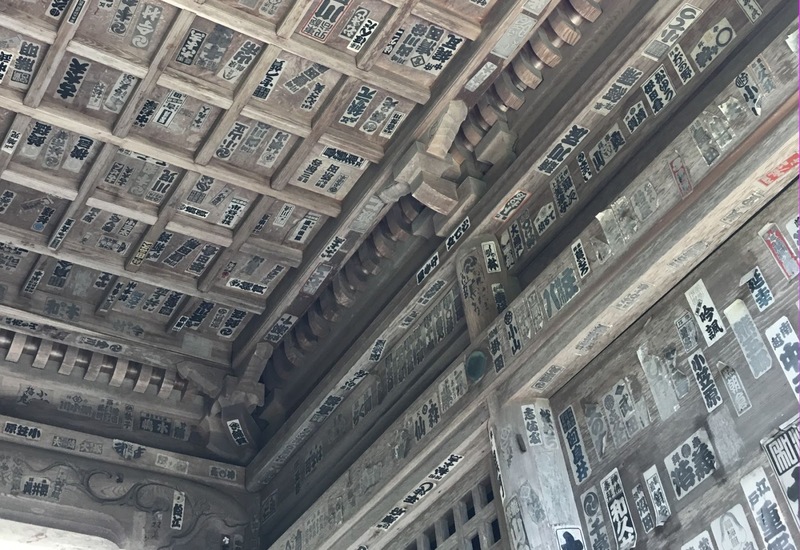 Senjafuda (name tags) pasted on the walls and ceiling of a temple gate in Japan. So, does this description of name tags ring a bell at all...? "In the oriental tradition of marking a pilgrimage to a temple by affixing one's name to the building, your name will appear on a Choubu temple in Chinese characters. 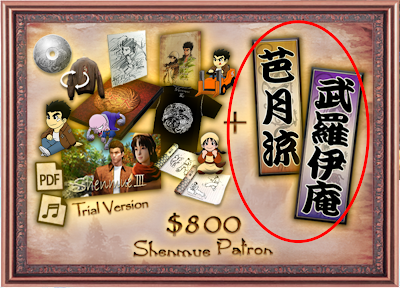 The Chinese characters for your name will be approved by Yu Suzuki himself." "Find your name tag on the temple and receive a special Technique Scroll! 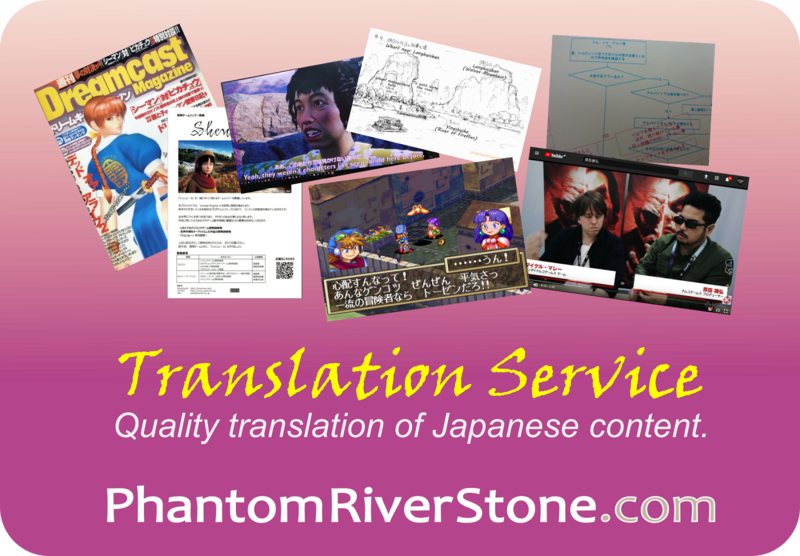 *Specific character requests (as possible), name etymology (provided by you), and phonetic transliteration will be used to determine name characters." After seeing this image, it makes sense that this would be the location for the name tags. It's nice to be able to tie this together. 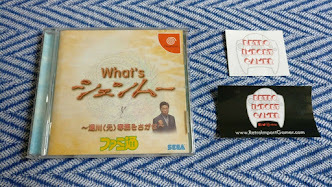 For the second item, Yu Suzuki's mischievous sense of humor sparkles through again. 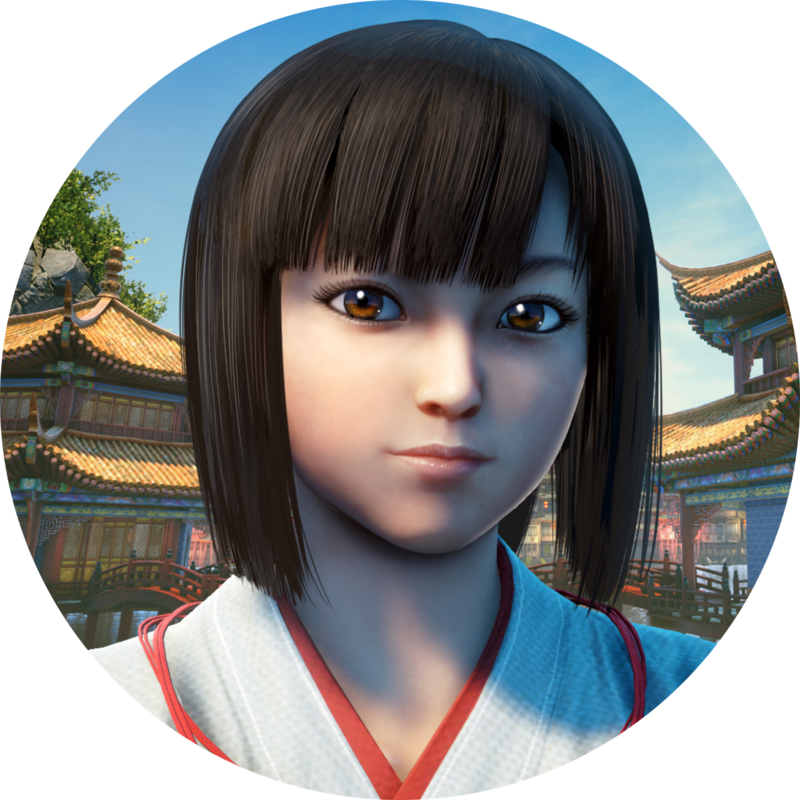 You may recall that in some of the images released at Gamescom, hidden craftily within were characters such as Ryo, Lan Di and Niao Sun. This time also, hidden within the image is a tiny Ryo, with his arms outstretched. Tiny Ryo photo-bombs the image. This has been a very positive update for the project. 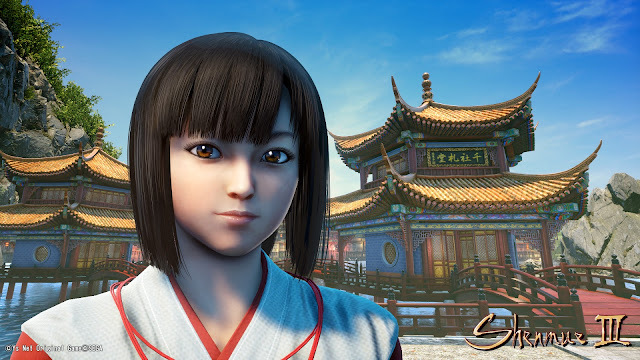 Not only does it allow the development team to focus on their main task of building the game, but based on their past projects as well as the sample character seen in this update, I am confident that the characters are in safe hands with Lakshya Digital. The temple buildings and bridges also look gorgeous, with the attention to detail in their creation we have come to expect with assets built for Shenmue. Regarding the next update, the message mentions that a Dev Room Report is on its way next. An exact timing is not given, but I think there is a good chance it may be in a New Year's Kickstarter Update which would be a nice way to end the year and welcome in 2018.